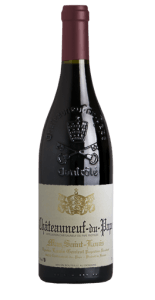 This 2014 Côtes du Rhône has an elegant, charming feel as well as lots of black cherries, spice and Provençal herbs. Drink it over the coming 5-6 years. Jeb Dunnuck. A deep and dark red, with fresh fruits with red berries and spices on the nose. Full, round and racy on the pallette with rounded and smooth tannins. A full-bodied, rich and intensely aromatic wine. A beautifully full wine with a long finish and plenty of elegance and finesse due to the well balanced tannins and fruit.